I am using my Android based Samsung Galaxy as a directional meter. I downloaded the software for free. most of the Android smartphones have the three (X, Y and Z) EMF sensors necessary to for the software to work. You will have to check to make sure yours does. EMF stands for Electro-Magnetic Force and the meter measures this energy of an EMF. This means there are three separate and distinct emf sensors. The X sensor is horizontal, Y is vertical and Z is diagonal. The reasoning behind this is that three sensors in separate planes give a more meaningful reading. Your smartphone is a computer and as such has the capability to be programmed to be a meter or anything else that a computer is capable of doing. A directional meter is one which only responds in a distinct way when pointing pointing at the signal source. This is an important concept and it means that a directional meter will literally point out the location of the transmitter. I have heard a lot of talk about TRIANGULATION when talking about simple meter measurement. Triangulation is a means of using Trigonometry to calculate the location of a source of radiation, given information about 3 receivers which can pick up that source. Triangulation seems to be used with cell phone location since there is always at least 3 receivers around the source. With this meter, you dont have 3 seperate locations. You only have the one location and you are holding it in your hand. The directional meter I speak of is free and anyone can survey with it. knowing what you can is important but you may be surprised to find out how many people dont know what they can’t do. I dont have any legal training. But you may be entitled to compensation under the law for damages that you receive. If you can prove what was done to you. You can do that by taking notes which I do and so should you. I want to talk about finding the location of a radiation source using this directional meter. A meter must give results which are repeatable. Since you are only interested in finding the source of transmission, it is repeatable. Also, it needs to show what happened in a way that average people can understand it. This particular meter is not versatile, but it does find the source of radiation repeatably. Basically it either responds with a true reading or it is indeterminate. It either points the way or it doesn’t. This is a very simple concept which needs to be remembered because there is no almost reading. Also the meter does produce numerical readings which you will notice are not the same for each sensor (xyz). However, the readings will be identical if there is a strong radiation source. In that case the 3 lines will be converged and when they are the reading of the meter for each of the three planes (xyz) will match. As I have said, there are three separate sensors. One is in horizontal plane, one is in vertical plane and one in diagonal plane. This arrangement requires strong radiation to move these sensors in a way that they all point to one reading. When the source is in front of the meter the three lines (XYZ) are merged together, that would be a positive indication. There are three separate sensors in the front of the meter X Y Z sensor. the sensors will point to virtual zero when driven by a strong signal. In other words the sensors will all read the same value, for instance 21uT [read micro teslas]. When this occurs you are pointing the meter directly at the source. finding the peak value is finding the point at which the lines come closest together. In other words the lines come closer together and you keep going until they merge. it could be a lot better interface but this is what you are stuck with for now. your handler wants some of the microwaves to be absorbed into your body as current. your body is damaged more by energy that is absorbed than by energy that passes through one side and out the other. energy that is absorbed turns into heat and kinetic energy to a lesser or greater extent. the energy transferred as kinetic energy to your body causes nervous system damage. Did you know that your handler can hear what your hear and see what you say. This is true because the technology has gone that far. I am not a lawyer but I do know that if you injure someone purposefully then it is by your will. If you conspire to injure someone and then go through the steps to injure someone then it needs to be proven to judge and jury that you thought about how to injure someone and then acted to injure your neighbor. The energy you are transmitting from your house represents your will. You premeditatedly planned to project energy from a transmitter in your house to a person in the house next door. So you are responsible for any damage that energy beam does. In order to reimburse your victim for that damage you would have to pay money or property worth enough to compensate for the damage you have done, including pain and suffering. By definition you are doing a job which inflicts maximum pain and suffering so you are by definition causing maximum pain and suffering by projecting the beam of energy. I think this is straight forward and probably most people doing this crime do not have enough money to compensate victims for the damage they have done unfortunately. 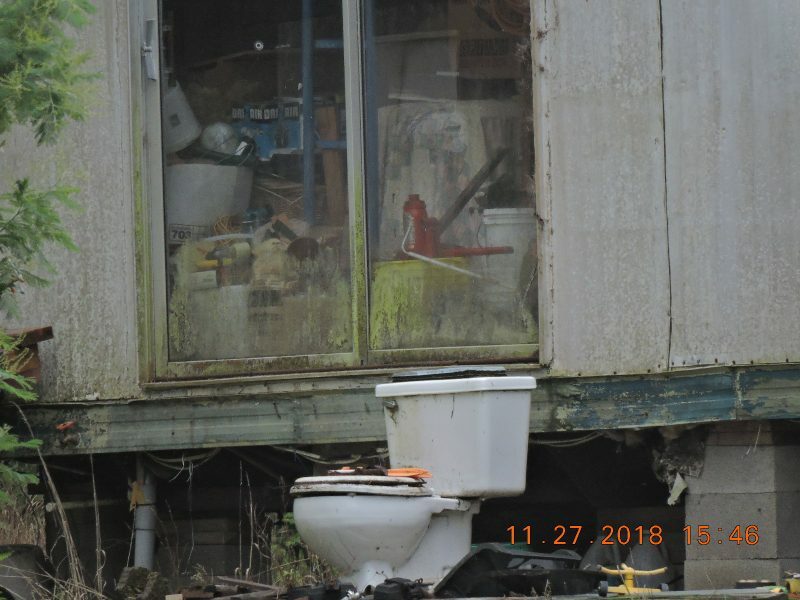 Proving your handler/intimidator did this damage and caused suffering is one thing and now it is the job of the judge and jury to assign blame and award compensation. I have an Associate degree in Electronics Engineering Technology, and Associate degree in Biology and a bachelors degree in Computer Science with relative field work experience in all three. This training enables me to deconstruct the technology that is targeting individuals (TI’s). I know what I am talking about. The reason this works is because the signals we are being beamed with have an RF component. The software I downloaded is called “Ghost EMF Detector Free”. Just because it is free and has the word ghost in it is irrelevant. There are older versions of the Samsung called the Samsung TAB and they will run the software Too. To save money, You can get an older smart phone, or an older tablet. You don’t even need a cell phone contract. All you need is a WIFI connection. Enable WIFI for the smart phone and use go to Google Play on the internet to download the software. Following is a link to the free software. I got the Note 10.1 Tablet and found out later that there were older versions for sale, especially on youtube… you can also ask the youtube seller about specifications and make sure he guarantees the sensors are built in. The Samsung Gallaxy and HTC are two smartphones I have which are equipped with the appropriate sensors. Android is a specification by GOOGLE which tells what any smartphone having the name ANDROID must have if they are to use the name as a selling point. I looked for used samsung galaxy tablets or smartphones under $100. This software is not supposed to work this way but it does work the way I am telling you. You will not be using the numerical readings or the lights, so ignore them for now. Only the x, y and z lines will be used and only when they merge into one line will it be meaningful. The lines merge in the presence of a strong electromagnetic field and only when the meter if pointed in the direction of the energy source. This meter shows the direction ONLY and not field strength. Although you can experiment with it to see if the reading are meaningful to you. For the purpose of this paper, I am saying to measure direction only. you can ignore the lights and meter sounds. You should only be looking at the X Y Z lines. The only thing that counts is when the lines actually converge. This is either go or no-go. The perps will not want you to tell where they are and will turn the source off while you are looking. They may try to move it to test if you can really detect them. They know they are losing their biggest asset which is their anonymity. SHHH they are supposed to be secret agents. I have had some of them quit because of loss of anonymity. If they are worried about giving away their location they may use a satellite based weapon or cell phone tower based weapon. Satellites are limited and so there are not enough to go around. What I am saying is that you will put them out of business by using this meter. They want their location and usage of their equipment to be anonymous and a secret. They want to hurt people from behind closed doors and from their little torture rooms. These people are mostly cowards hiding from you. I believe most of them are veterans of the Iraq/Afghanistan wars who are technical types trained to use electronic tracking equipment. They probably have security clearances because the signals intelligence technology they are using is designated as secret. 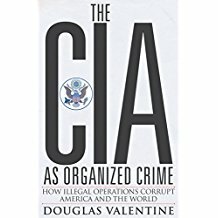 I believe it is called Clandestine Covert Tagging Tracking And Locating (CTTL). This is what reporter Bob Woodward called it and almost revealed in an interview he gave. Go to this link and learn about it. http://jameslico.com/activists-learn-of-cttl-or-fail/ . They used the technology to tag target and track what the army calls dissidents in the war so they could be killed. Now the government has turned the technology on the American People. The idea is to use the meter to locate them and they will know that you are doing this. They will also know that you or anyone can come crashing in on their location at any time for their good or ill. This puts them on the defensive even though they will try to make you think otherwise. They did not start doing this work in the army or in civilian life to have their health threatened. They let others do the killing. To tell direction, hold the meter horizontal and flat from the back with the logo SAMSUNG facing you so you can read it, so that the sensors are in front with the camera and mic. notice that the three sensors correspond to the X, Y and Z lines on the screen and a 4th white line is a composite of the other three (ignore this line). If there is no EMF field present the lines should be spread evenly apart from each other and parallel to each other. When an EMF field is present, the lines will merge together, more or less depending on the field strength. I imagine the lines converge because the sensors within the meter converge to one point by an electromagnetic field. I used to think the meter had to be held flat to get a reading of location but now I realized the signals are polarized meaning the meter must be held in the same plane as the signal. This means you still keep the sensors pointed at the source but must tilt the meter so that you will see if the lines converge in a plane other than horizontal. In other words tilt the meter from flat to sideways when taking readings. For efficiency you can do one survey with the meter horizontal and another with the meter tilted to the side. The idea is to move the meter in a 360 degree circle until a signal is found where the lines converge into one line. The EMF will pass through you to reach the meter so you can move the meter and not necessarily yourself in a circle. Make a finer movement when you have the direction close. Move it left to right until the lines flare slightly on either side and then stop in the center. You now have the horizontal direction. 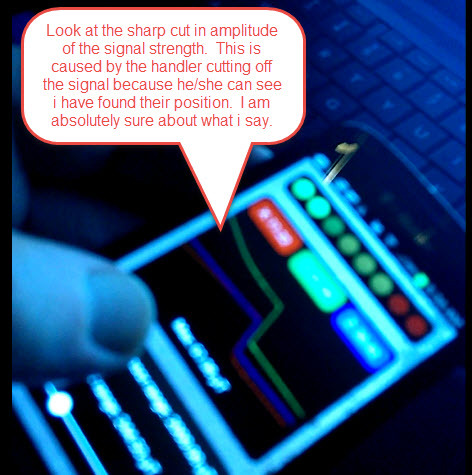 Remember that EMF is moving those lines but only when they converge do you detect a strong signal. You should never see this normally. If your microwave oven leaks, you will see this when pointing the meter towards the microwave oven. The EMF source may be a satellite weapon, cell phone tower or portable weapon used by a private contractor. This means you must point the meter horizontally to locate a private contractor with a portable weapon or at a 45 degree angle more or less to locate a cell phone tower and higher than 45 degrees to locate a satellite weapon. There are to points you will need to find. One is the vertical position or direction and the other is the horizontal position or direction. Bother horizontal and vertical points are needed to find the direction of the EMF source. Remember that it is line of sight. It is a characteristic of Microwaves that they dont bend and will not bounce or reflect, while lower frequencies designated as Radio Frequency RF will bounce and will reflect off of surfaces. To find the vertical elevation direction: sweep the meter vertically up and around and down in the vertical plane. If you find a signal, move more slowly so the lines converge as much as possible to the thinnest point. The meter should now pointing in the direction of the signal point source and showing you the source of EMF. This sounds complicated but you have a way cheat, knowing that you are being irradiated and may somewhat be able to tell the direction from the feeling you get from the energy hitting you. Determining the signal source in this way takes some practice. If the meter is telling you the signal horizontal, then it is most likely coming from a dwelling. Remember that the signal may be passing through a dwelling or other structure or object. If it is between 15 degrees and 45 degrees from horizontal, (above the houses) and below where a satellite could be, so it is probably a cell phone tower. If it is coming from greater than 45 degrees in the sky and there is nothing visible in that direction then it is a satellite. You will get the hang of this with some practice. Expect to make and correct mistakes as you go. Don’t assume because it is coming directly from the direction of a building (house for instance) that it is coming from that house. To verify, go on the other side of the house and see if the signal is there, indicating the source is beyond the house and just passing through it. You can’t assume that perps probably would not aim right through a house with people in it. If you are targeted from a cell phone tower, you should be able to navigate to that tower and drive right up to it if so inclined, noticing the targeting signal drop off as you are under the transmitting antenna. Knowing the direction of a signal is a powerful piece of information, because you can shield in that direction only and block the signal. Be aware that the perps probably will stop for a day so they can rig up another signal source in a different direction towards you. Find it in the same way you found the first signal. The perps will try to through you off the track by varying or turning off their signal or moving the source if using a portable weapon. Knowing they need to turn the signal back on in order to access you, means that you won’t have to wait long for them to turn it back on, or turn down the signal to a normal value. This meter has a variable sensitivity adjustment which is nice, you can scan quickly to find the direction of their signal. You will notice they will play a cat and mouse with you, increasing or decreasing the signal to through you off and moving the source. This doesn’t work usually and you should be able to figure out what they are doing and wait them out. They hate that you know where their source is, especially if it is coming from their house! This is a typical scenario for using the meter. There is a microwave weapon in D205 that is radiating me with microwave energy as I sit on my couch in my apartment 305D. I have this directional meter that tells me where the point source is. I will just go through the type of thing that I see. Typical things i notice is that the perps move the source like this. 3:01pm Currently the source is on the left side of the living room, near the window. 3:02pm now it was moved to the right side past the kitchen counter near the wall. 3:03pm now its back on the left side near window. 3:04pm now back on right side. This person is going through a phase of testing me to see if I really can locate his positioning and he is worried. This brings up an important subject of whether the handler can see through your eyes. I believe this is true and you can now test to prove this for yourself. Put a piece of tape over the front and back cameras of your smart phone. Now you think the handler can see what you see, then it is most probably through your eyes. Try to rule out all other possibilities. I did this and proved it to myself in this way. If you really want to pay for a meter, then here is the best deal out there. Its a spectrum analyzer for $300. You should really look at this because it is an amazing deal. DARPA paid the development cost and so it can sell for this low price. This DC gauss meter detects DC magnetic fields. Do cell towers emit DC magnetic fields? The Ghost app measures solely DC magnetic fields. Since cell towers do not emit DC, they do not emit DEWs? But you wrote cell towers could be a source. Thanks for the excellent tutorial. I followed your instructions. The three lines converged at the west facing exterior wall of my living room at the level of my head. Smart meters and house wiring do not emit DC magnetic fields. No new neighbors. No large van or truck parked in the neighborhood that could conceal a microwave generator. What is the source emitting the DC magnetic fields? I do not understand your answer. Magnetometer apps detect static DC magnetic waves. 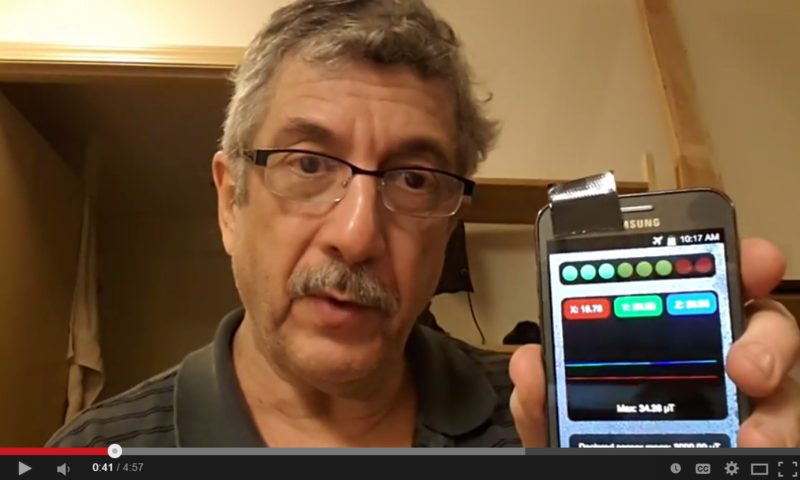 Is the directional magnetometer app detecting AC magnetic waves instead of DC magnetic waves?